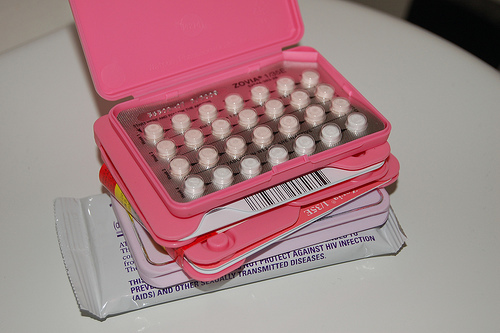 When BGSU experienced it's annual anti-contraception event with Janet Smith (hosted by the Catholic student organization Veritas) I was super interested what kind of birth control readers were using to prevent pregnancy. The pill was the predictable favorite, with "none what-so-ever" coming very closely behind. At first I was alarmed, but then I realized (based on the way the question was phrased) this was the only option for male readers. And then I realized some readers might be trying to get pregnant. Condoms and IUDs were both popular. And more people used fertility awareness than the implant-- which is understandable, given the price and commitment users must make. Apparently no one is getting the shot or using a diaphragm anymore.